It is possible to have an unplugged wedding in India? 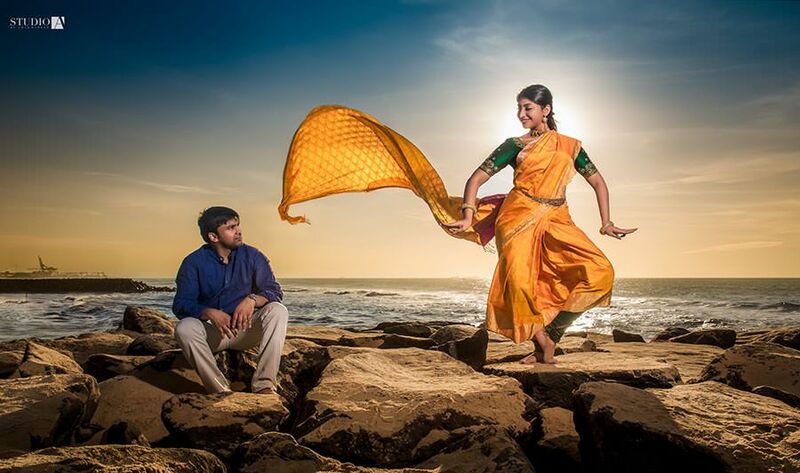 “Welcome, dear family and friends, Siddharth and Neha invite you to be truly present at this auspicious moment. Please turn off your cell phones and put down your cameras. The photographer will capture how this moment looks with great pictures and share them with you! We invite you to truly experience the wedding and capture the emotion with your minds and hearts.” Would that ever be possible at an Indian wedding? Can you imagine the pundit announcing this before the ceremony? I can’t forget a wedding I covered a couple of years ago. 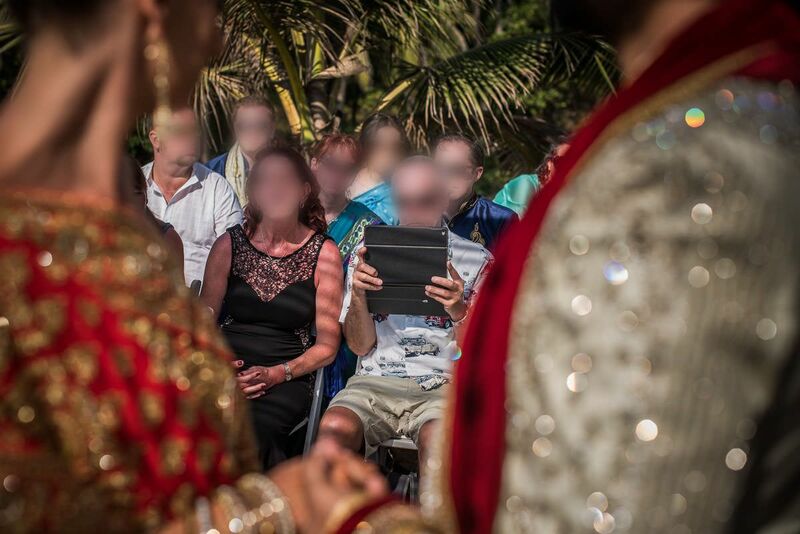 The father of the bride was busy covering his daughter’s wedding on his iPad! I am known to say what’s on my mind from time to time, and had to be especially polite that time, after all; this was the father of the bride. I did suggest that perhaps it would be a better experience for him, and his daughter, if he left the photography for the photographer, and actually share the moment with his beloved daughter in real-time. He did see the point, I must say, and we were on good terms for the rest of the day. But the dealings with mobile phone self-appointed wedding photographers has been a growing concern for us, the photographers, over the past few years. So what can we do about it? The excitement is understandable. It’s your best friend’s wedding, the location is amazing, and everyone is looking so wonderful. How can we expect people not to do what they do on a regular basis? How can we expect them to stash away their mobile devices, and why? Well, the ‘why’ is easy. I have a feeling we can all agree that it makes more sense for your family and friends to BE in the moment with you, rather than experience this day through a five-inch screen. Not only that, but as a bride & groom, wouldn’t you rather see the faces of the people you care about, and not a wall of mobile devices? This is before we even mention the headache your wedding photographer needs to deal with when uncle Bob decides he requires the space just in front, and blocks the isle or the view of the mandap. Either that, or he would ask the photographer to move as he himself needs a line of sight. You pay a considerable amount to your wedding photographer, and you want to have good pictures in return; pictures without uncle Bob’s back blocking the view. Uncle Bob, and your group of friends might be very excited about taking pictures at your wedding, but lets be realistic; chances are that most of what they shoot is crap. It is in everyone’s best interest to allow the appointed wedding photographer to do his/her job without having to deal with all the disturbances, and having to share the space with so many mobile phone wedding photographers. So let us try to see how this can be avoided, with minimum pain, and in a way that can leave everyone happy. It is unreasonable to ask people not to carry their mobile phones around, but there are things we can still do. I think there is a way to have an unplugged wedding even, and especially in India. To allow your guests to truly enjoy and live in the moment, make the experience visceral as opposed to through a phone, while still allowing them to use their mobile cameras. An Indian wedding is an affair of a few days, with many ceremonies and functions. These beautiful events, from Mehendi to Sangeet, offer wonderful photo opportunities for all the guests. Your friends will have their photos for social media from these events. The only time that it really matters not to have other people taking pictures, when you really want people to be there with their open hearts, is the actual wedding ceremony. This is when everything happens at one small space, and time is important. We really want to see your faces. Not your devices. If we want to try for such an unplugged wedding, where technology takes a backseat; let us request the family and friends to refrain from using their mobile devices only during the actual wedding ceremony, but otherwise encourage them to take all the pictures they want during other events. You can even make a sign to remind guess to stay in the moment. We as photographers should understand this natural urge to take photos, and should perhaps make an effort to deliver a few select images of the actual wedding as quick as the day after, for people to enjoy sharing on social media. Think about it, instead of facing flashes and the back of cellphones and iPads, you will be looking upon the faces of those who are genuinely happy for you! Is this realistic to ask in India? What do you think? i absolutely agree with your blog. so many times as a professional wedding photograpger we face the same situation and poor couple has to suffer the most with aweful photos.